The terrorist group is calling for a rally at the capitol building. 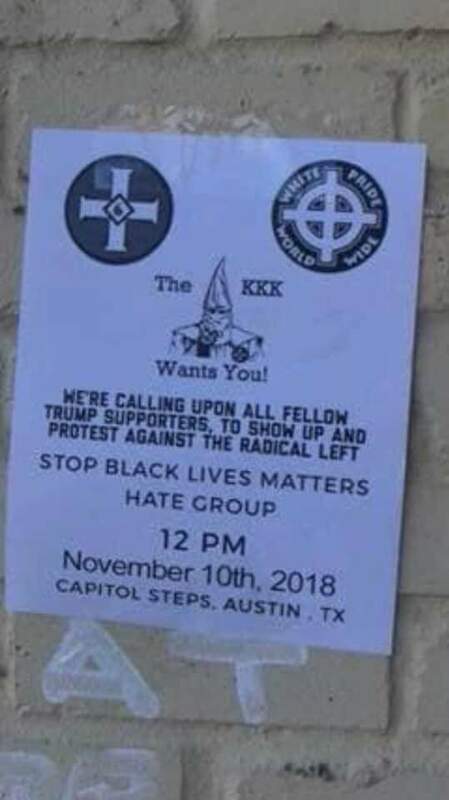 So the KKK is holding a rally ON THE CAPITAL STEPS in Austin on Saturday to protest against "Black Lives Matter Hate Groups"
It happens everyday really. You heard about that kkk meeting that's supposed to happen in Austin? Hopefully, the people of Austin are aware of the terrorist rally and no one is hurt or worse.